Proper battery maintenance is easy to perform yet easy to forget, possibly leaving you without a furnace fan (and thus without heat) in the middle of the night! Here are three simple steps to make sure your battery is charged and ready to use when you need it to be! To prolong the life of your battery, never draw it below 50% of the total voltage. As you can see in the chart above, this means staying above 11.9 volts for a 12 volt battery – a bit counter-intuitive, especially when considering that a full charge on a 12 volt battery is actually 12.6 volts. 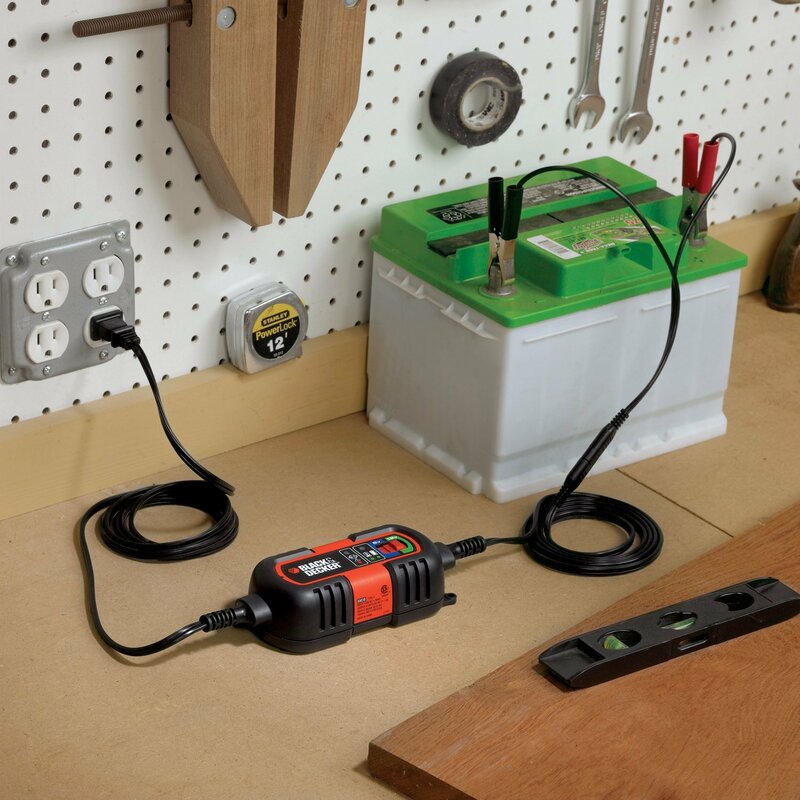 You can use a variety of tools to monitor your voltage, including a handheld, cigarette lighter style LCD inserted into an interior 12-volt outlet as shown above, or a multimeter attached directly to your battery. 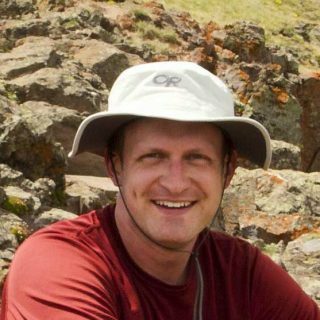 For improved accuracy, take your reading several hours after any devices have drawn power, such as late in the afternoon after a few hours spent away from the camper during a hike. 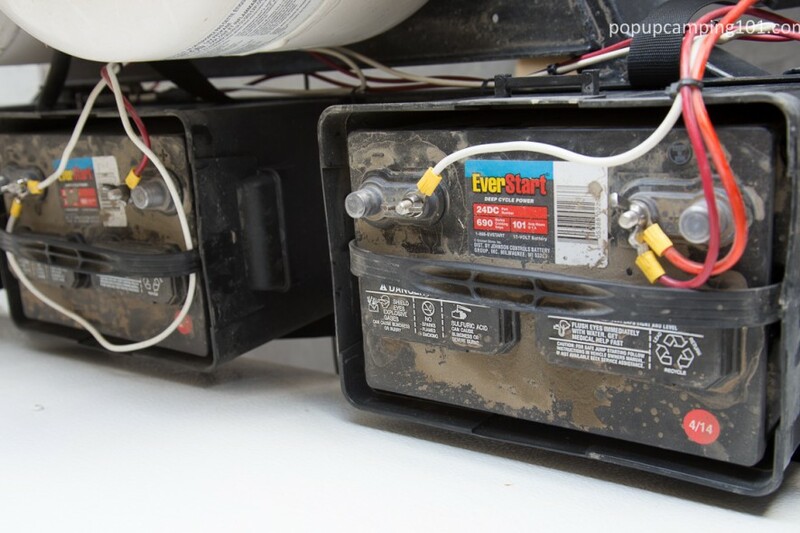 Various devices in your popup camper will drain your battery even while parked for short term storage. Your CO2 and carbon monoxide detector is one such example, running constantly if there’s power supplied. To prevent this from draining your battery (which will happen surprisingly quick, in a matter of weeks), simply install a fuse near your battery. Remove the fuse to cut all power to your devices and leave the battery truly dormant. And don’t forget to re-insert the fuse when you want to charge the battery. Neither your AC cord or the tow vehicle will be able to charge the battery with this fuse removed. 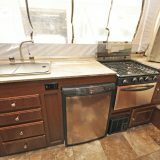 Most popup campers come with an electrical cable to connect to a regular household AC outlet. This charges your battery while plugged in. 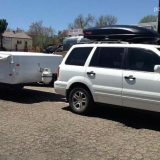 But when storing your popup camper for longer periods of time, you should remove the battery and bring it inside the garage. Batteries don’t like the cold, so doing this will provide a more regulated climate. It will also allow you to use a battery maintainer. I bought the Black & Decker BM3B, as shown above. It keeps my batteries at an optimal charge, automatically switching between “float mode” and “charge mode” to avoid overcharging. 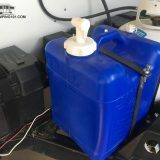 Once I’m ready to hit the road again, I simply remove and re-install to the camper, confident that I’m departing with a fully charged and healthy battery. Be VERY careful of running your fridge in 12 volt / battery mode. 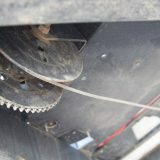 This is acceptable to do when traveling to the campsite IF you have an accessory wire providing power from your tow vehicle’s alternator to the camper. 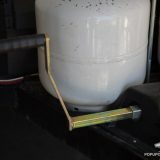 But don’t forget to switch over to propane mode as soon as you disconnect from the tow vehicle. 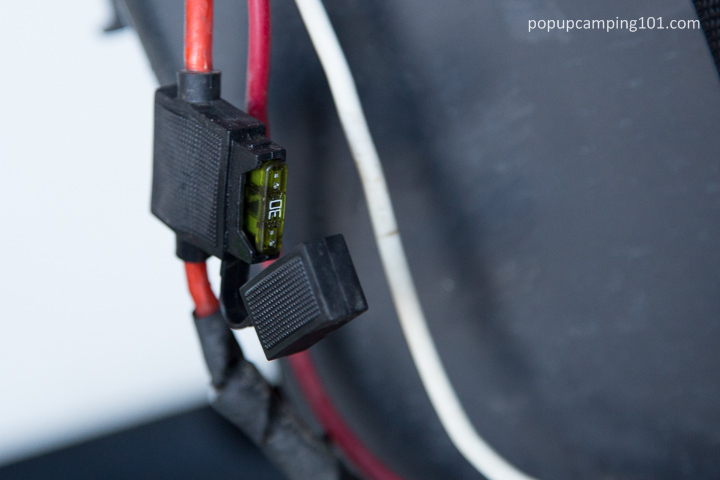 Otherwise, your popup camper’s battery will likely be dead in just a few hours from such a strong voltage draw on your battery. Whenever I run the fridge on 12v power while traveling, I place bright neon pink tape on it’s exterior cover to remind me to make the switch to propane as soon as we arrive at the campsite.